This is how employees at HMV took to the micro-blogging site Tweeter to vent out their frustration of being fired. They even managed to post seven subversive tweets from HMV’s official twitter feed, before HMV managed to reclaim its account and delete their tweets. Sounds familiar. A little less than a year back, Greg Smith, an executive of Goldman Sachs publicly resigned with an Op-Ed page article in The New York Times. These incidents though few and far between, are a harbinger of the trends which are about to come in the corporate world. Employees are getting increasingly fearless and organisations can no longer be flippant about their management policies and the way they conduct their business. Can organisations learn a lesson or two from these two incidences? Perhaps yes. Lesson Number 1: Even the best of intentions can be mired by disastrous processes. As Dov Seidman says, “How we do anything means everything,” in his book titled “how”. The tweet fire from HMV’s official account is quite a reflection on how the way things are done can change the ultimate outcome.HMV is not the first organisation to lay off employees. However, in an endeavour to contain costs, it is definitely the first which has managed to get unwanted attention for all wrong reasons. Lesson Number 2: Look at people as a source of immense potential waiting to be tapped rather than cost. If done at the right time they create value which is in multiples of their cost. I can’t but admire the way they chose to vent their anger. From the hash tag that they chose #hmvXfactorfiring to the tweets that went out, their approach was incredibly innovative. I wonder if no one ever thought to tap their innovative streak and out of the box thinking to solve business problems. I am sure people who could think fast on their feet could have done much more than just being redundant. Lesson Number 3: Management gurus are right when they say that we live in a transparent and inter-connected world and we can no longer get away without having to give the rationale behind our actions. 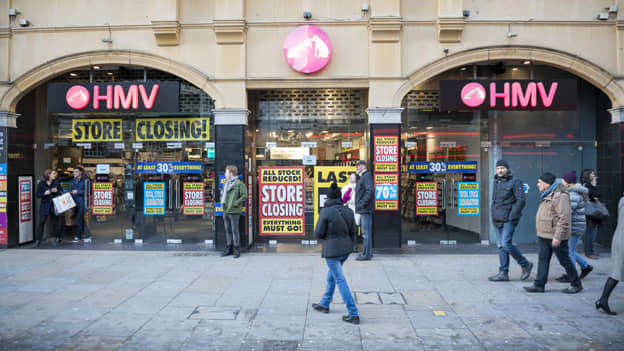 Even in the limited time for which that the employees had access to the account, they were able to spread the word about their despair, and now HMV is open to public scrutiny. So dear manager, hope you did learn a lesson or two of your life on how to conduct your business and treat people. If you still haven’t, Good luck! Next time it will be worse. NEXT STORY: Why 'resignation' is the most googled word?